I restarted the process instance at sub_1, and the process will not continue after executing the sub_1 task. 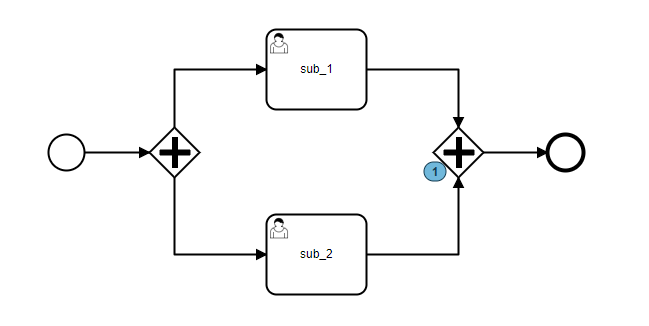 Both Sub_1 and Sub_2 need to be completed in order to continue on Parallel Join. Parallel Join will wait for all incoming sequences to complete. Thank you. I’m using Inclusive Gateway instead. I think what you posted above is parallel gateway. Here is how inclusive gateway looks. Thank you. I mean, I replaced parallel Gateway with Inclusive Gateway.